Google Apps introduces multi-domain support. Collaboration just got easier. As you likely know, we’re big fans of Google Apps around TNW. So when one of our favorite application platforms announces some big changes, we’re glad to be able to bring you that news. Google Apps has just released a great feature that I’m sure will be welcomed by many. 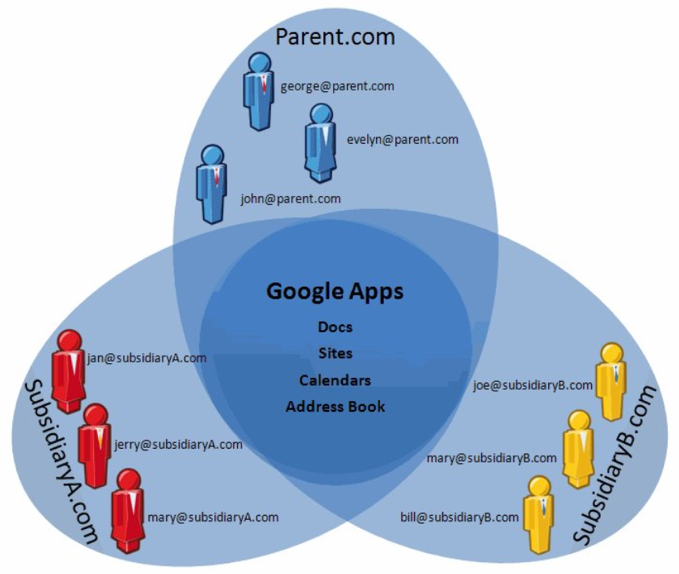 Until now, if you or your company had several domains, you had to have a separate Google Apps account for each of them. As of today, that hassle is no longer your reality. According to the Google Enterprise Blog, Google Apps can now be shared among multiple domains with a single account. You’ll find the option in your admin control of your Google Apps dashboard. While users from different domains will keep their individual email address, they’ll be able to see different users in the organization in their address book, as well as easier sharing of Google Docs, Sites and everything else in the Google Apps war chest. There’s a live webinar about the new feature coming up on July 13th, and you can find full details in the blog. The multi-domain feature is available now, for free, to Premier and Education edition accounts. Read next: Twitter's way of managing the failwhale? API reduction to 150/hour.